Highland Council has an Acceptable Use Policy which every user must agree to abide by when they login. The 2014 revised policy was developed by the Council’s ICT officers in collaboration with young people from Charleston Academy and our parents. ICT officers worked with some of our young people over the course of a day to explore the issues and develop appropriate solutions. The outcome is the policy which came into effect in 2014 and applies in all schools. While pupils will be introduced to the policy at assemblies and in classes, separate Guidance for Parents and Teachers is also available. Charleston Academy has 300 networked computers arranged in a variety of suites of either 20 or 30 computers or in classrooms. Use of these computers by pupils is governed by Highland Council’s Acceptable use Policy. Use of the internet at home and in school is now an accepted part of daily life. At Charleston Academy we encourage safe and responsible use of online resources which are filtered to prevent access to inappropriate content. Pupils are also made aware that network administrators can access and monitor individual accounts to ensure that our systems are being used responsibly. However, due to the extensive nature of material on the internet it is impossible to guarantee that all inappropriate content is filtered out. Pupils must therefore take responsibility for their own search terms and should report anything deemed inappropriate to staff. While Social Media sites such as Facebook and Twitter used to be banned in schools, we take the view that it is partly our responsibility, in partnership with parents and pupils, to educate our young people on the necessity of developing a safe and responsible online social presence for themselves. The school uses Facebook, Twitter and other Social Media and individual subject departments now encourage pupils to engage in online social interaction through services such as Twitter to help with access to resources, homework and revision. All pupils are personally responsible for their online and network activity in school. They must never share their password with anyone else or allow another pupil to use a computer that they are logged on to. 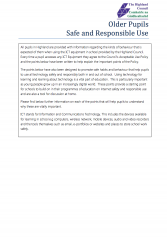 Any pupil found to be using our ICT services inappropriately may be banned from future access. As pupils progress through school their network storage on our school servers can become full. Pupils are responsible for managing their own network storage and are strongly encouraged to take a back-up of any important files. At the present time storage space provided for pupils is restricted to 500MB. Once this limit is reached no new files can be saved. We actively encourage pupils to use cloud based storage such as iCloud-Drive, OneDrive and GoogleDrive, all of which can be accessed in school and via Glow. When a pupil leaves Charleston Academy their network storage will be deleted. In some subjects (Art, Photography, Product Design etc) pupils will gather very large files that are beyond the capacity of the school network. In such circumstances pupils will be encouraged to use their Glow email account which has cloud based storage or to use a cloud based service such as Google Drive which can be accessed in school. The school cannot be responsible or held liable for the loss, corruption or damage to files that pupils store on our network. Charleston Academy, Highland Council and the Scottish Government collect data about pupils which is held electronically. This data includes date of birth, post-codes, free-school meal entitlement, additional support needs, national identity and ethnicity. This data is checked by the Scottish Government in an annual school census each September and parents have the right to opt for “non-disclosed” for some information. Like all schools Charleston Academy gathers and stores any data in accordance with the Data Protection Act (1998) and is bound by legislation relating to the storage of confidential information. All pupils have their photograph taken at the start of each session. The photo is used for our management information system and the operation of our cashless catering system (the photo acts as an ID check along with a PIN), the school Library and Highlife Highland (Young Scot Cards and National Entitlement Cards). Tempest take these photos which parents can also choose to purchase if they wish. As part of our drive to improve attainment and achievement we regularly celebrate and acknowledge the success and achievements of pupils and groups of pupils in school, at assemblies and via our website. At the start of each session we write to all parents (as part of the school census) and seek your consent for the use of these photos. We request that you write to us if you wish to withdraw your consent for this. In joining us to celebrate and acknowledge the achievements of our pupils, most parents and pupils are very happy to allow these photos and others to be used. Most parents are very keen to take a photo or video of their child performing or participating in a school event. 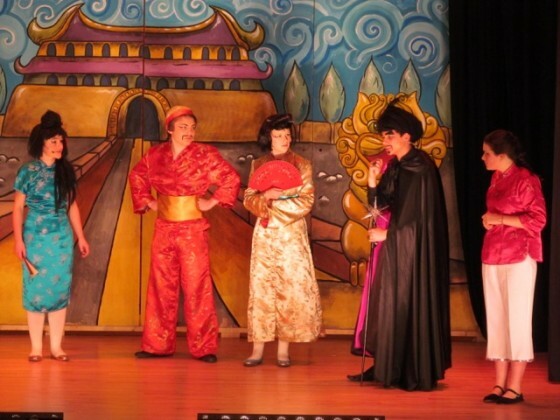 We take a very pragmatic approach to this and allow parents to do so provided it does not interfere with the production or performance or distract members of the audience or performers. Sometimes we may have to compile a list of all parents who use audio-visual equipment. For some performances which are subject to copyright or performing rights legislation we cannot allow photos or videos to be taken. If you are in any doubt about these arrangements, please discuss the matter with a member of the Senior Management Team in advance.